President Donald Trump has revealed the details of his phone call to his Mexican counterpart to discuss one of his most controversial promises, which resulted in the postponement of their first official meeting in the White House. During a rally in Pennsylvania this Saturday, US President Donald Trump said he had rebuffed the demand of Mexican President Enrique Pena Nieto to renounce a campaign promise that Mexico would pay for the border wall between two countries. He gave the details of last month's heated phone call between the heads of state of North America's two most populous countries. When the crowd started chanting “Build the wall”, he revealed that his talks with the Mexican President on the matter. He claimed that talks with Nieto, who should pay the multi-billion dollar cost of constructing the wall, had reached a deadlock. Nieto, whom the American President described as a “really nice guy,” had respectfully made a request: ‘Mr. President, I would like you to make a statement that Mexico will not pay for the wall’. “Are you crazy? I am not making that statement,” Trump said. — Donald J. Trump (@realDonaldTrump) 11 марта 2018 г. After the phone call, Pena Nieto’s first official visit to Washington was postponed, and it hasn't been rescheduled despite the journey of Trump’s senior adviser and his son-in-law Jared Kushner to Mexico City last week. 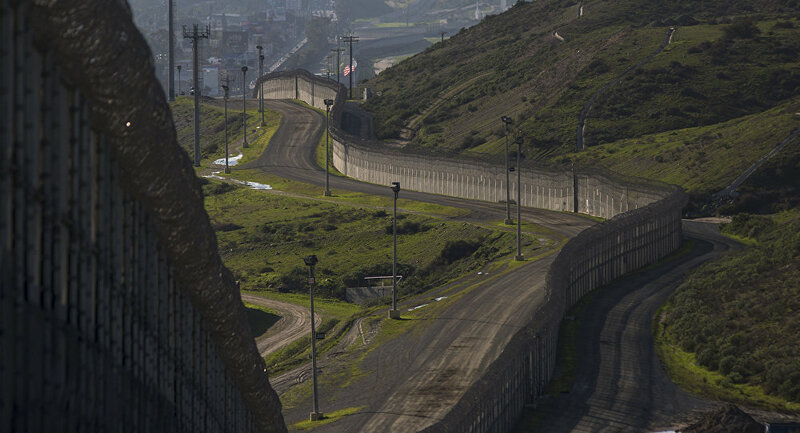 While on the campaign trail, Donald Trump had made the border wall's construction one of the main pillars of his program, and focused on fighting illegal immigration. However the question of who will pay the estimated $18 billion cost has remained unclear since 2016. While Trump has repeatedly claimed that Mexico should take on the multi-billion burden, the country’s officials have publicly rebuffed it. Meanwhile, Trump is scheduled to visit a prototype of the wall near San Diego in two days, during his first visit as the President to California.